Hopefully, sometime late tonight or tomorrow, I will have the video for the Montreal demonstration (on another bitterly cold day, it is -19 degrees centigrade at the moment). In the meantime, here is a full list of the protests planned for today as well as a video announcement. The Chatham-Kent Peace coalition will hold a Peace event on the sidewalk in front of Chatham City Hall on King St, on Saturday January 10, at 1:00PM. The event is in response to the fighting in GAZA part of the Palestinian Territory. Stop the Assault on Gaza! End the Siege! Saturday January 10th at 1:00 p.m.
Mettez fin à l’apartheid israélien! 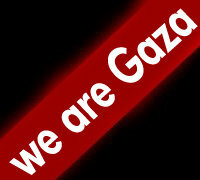 STOP ISRAEL’S MASSACRE IN GAZA! ORGANIZED BY: The Association of Palestinian Arab Canadians (APAC), Independent Jewish Voices (IJV – Canada) and the Ottawa Palestine Solidarity Network (OPSN). Rally at City Hall Saturday January 10 at 2.30 p.m to call for peace in Gaza. The Canadian Peace Alliance has called on all members and supporters to support existing demonstrations, or organize their own, this Saturday, January 10 to demand that the Canadian government call for an immediate end to the massacre in Gaza. PAW and CanPalNet will be holding a rally at the Federal Building this Saturday, and on each successive Saturday until further notice. Please plan to participate and please encourage others to join you.